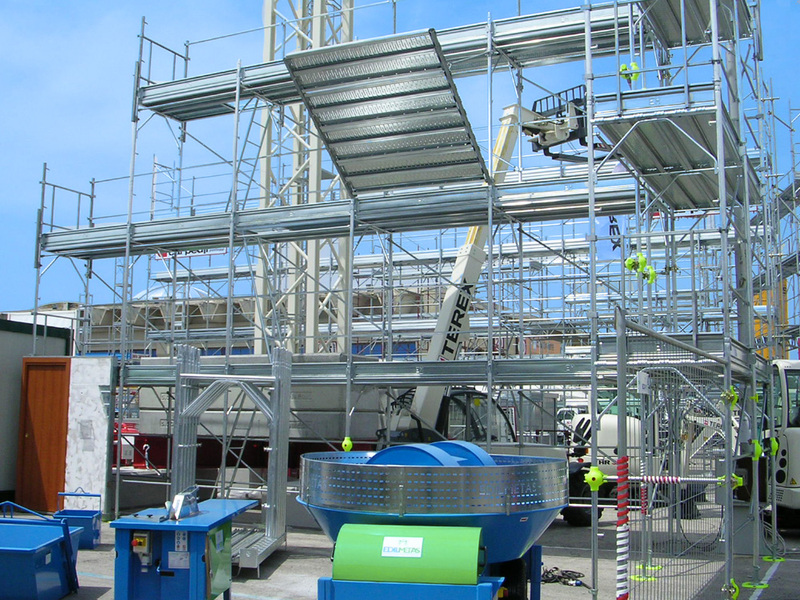 The Edilmetas was founded in 2000 with the aim of producing machines and equipment for building including scaffolds (with ministerial approval), buckets and containers, raking struts and construction sites fittings. 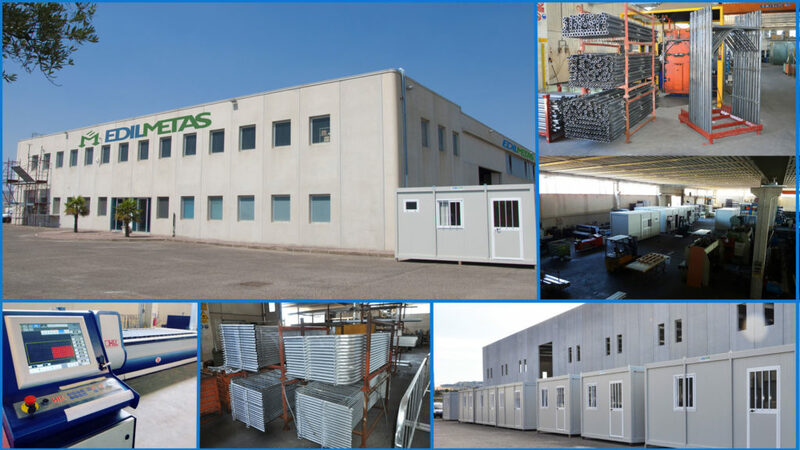 The production has been enlarged with containers and insulated monoblocks that have led a strong sale incentive thanks to the possibility of selling them in flat-pack (disassembled) and thanks to the ability to customize (dressing rooms, canteens, offices, residential monoblocks, monoblocks on wheels, etc.) to be used on the construction sites, in sports facilities, for residential use, etc. Our philosophy has brought Edilmetas to achieve, in a few years, remarkable results; today we operate on an area of 6000 square meters with 25 internal employees as well as external collaborators strongly fidelized. The company’s strength and constant evolution is characterized by the increase of production and by the development of new production lines with the greatest attention to quality and high-tech machinery use. 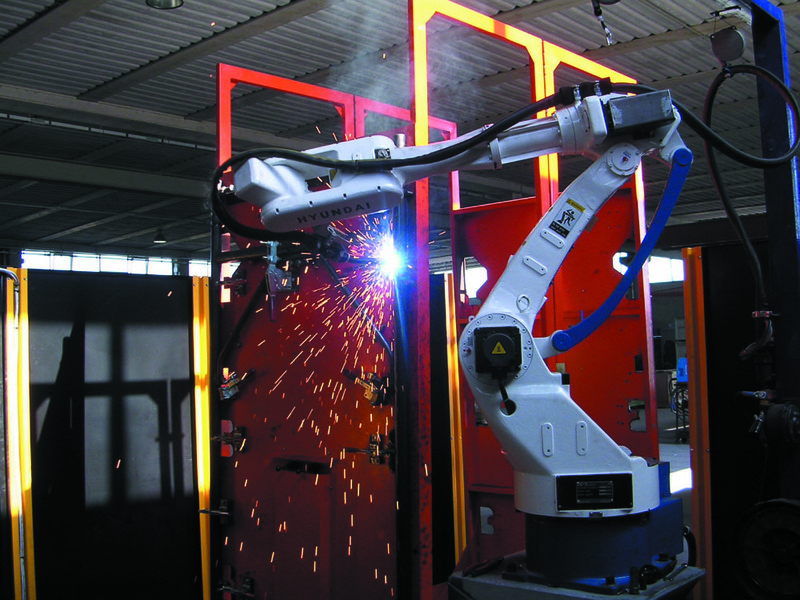 In the last years the EDILMETAS has added subcontract work how plasma cutting and galvanizing plant (static and barrell plants). 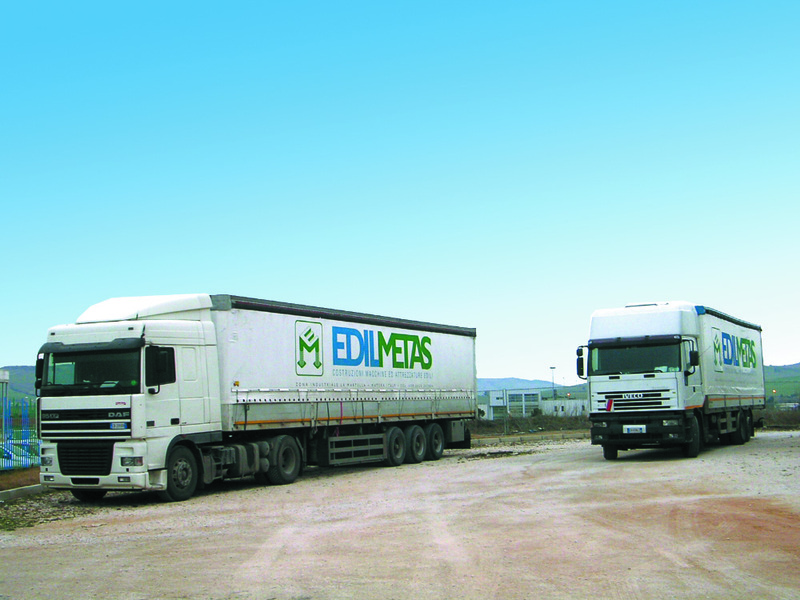 Edilmetas offers a carefully sales department, which follows the customers from the definition of the order to the complete fulfillment. The company has a large and widespread sales network in order to meet all customer needs by rapidity and accuracy. Currently sales cover the entire Italian territory, having collaboration with large organizations. Regarding the export, we provide the following countries: Romania, England, Venezuela and Arabia. The sales office staff is always at your complete disposal they will guide you in making the best choice and they will put you in touch with our agents operating in the area, allowing you to receive a valuable advice for all your needs.